There is growing concern that the trial of two men for the Real IRA attack on Massareene British Army base two years ago, currently underway, could result in a major miscarriage of justice. A 24-hour rally and fast is to take place overnight this Friday night, November 25th, at the gates of Maghaberry prison. A football match later today [Friday] involving the PSNI police at the Croke Park headquarters of the GAA is to be protested by Republican Sinn Fein. 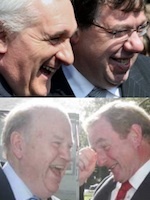 Dublin cabinet ministers have engaged in widespread leaks this week in an attempt to ‘soften the blow’ of the worst austerity measures and to see how palatable other budget measures were. British military intelligence have attempted to lure a man across the border with the promise of cut-price Christmas toys in order to effect his arrest. 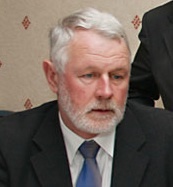 A civil-war era spat broke out in the Dail this week when Kerry North-Limerick West Sinn Fein TD Martin Ferris sought to remove restrictions on prisoners released under the 1998 Good Friday Agreement. An opportunity missed, or thrown away? 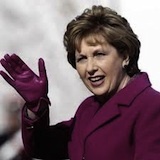 Now that the dust has settled on the election of the ninth President of Ireland, it is time to look back on the positives and negatives of that campaign for Irish republicans. It was revealed today that members of the German parliament have already discussed details of the forthcoming 26-County Budget, including a planned 2% hike in VAT (sales tax). The families of 11 people killed during a 36-hour rampage by British paratroopers 40 years ago have described a decision to reopen inquests into ten of the deaths as “a very important step on our journey for truth”. 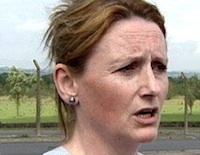 A document which could free the North’s most famous female republican from jail has been lost by the British government, its Northern Ireland Office has said. 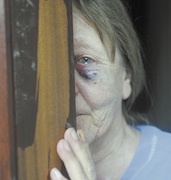 A pensioner who was attacked while trying to defend her son and grandson has described being held over a railing and punched in the face by a unionist paramilitary. Senior Sinn Féin politician Gerry Kelly is to be paid a five-figure sum by a Sunday newspaper which accused him of being involved in an affair with a US diplomat in a story published 15 years ago. The Six-County First Minister, DUP leader Peter Robinson has been accused of contriving a “stunt” when he threatened to resign over changes to the North’s prison regime. The decision by the new leader of the SDLP, Alasdair McDonnell, not to wear a poppy on Remembrance Sunday will be welcomed by the vast majority of northern nationalists. 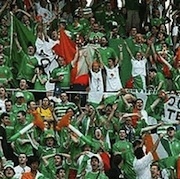 The Irish national soccer team has qualified tonight for the 2012 European Football Championship, the first major soccer tournament it will contest since the 2002 World Cup in Japan and Korea. The Executive Summary, including an itemised list of proposed financial measures, savings and stimulus packages from Sinn Féin's pre-budget submission for the year 2012, published today. Michael D Higgins was inaugurated as the ninth President of Ireland at a ceremony in Dublin Castle this afternoon. 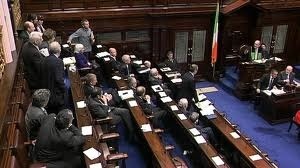 He was sworn in by the Chief Justice in front of the Taoiseach, other dignatories and invited guests. His first address as President Higgins received huge applause and a standing ovation from the assembled guests. Here is the full text of that address. Irish human rights activists remain imprisoned by Israeli authorities after they attempted last week to deliver aid to Palestinians trapped behind an Israeli military blockade. A top human rights lawyer was threatened with arrest on the eve of the opening of the trial this week of republican Colin Duffy, one of his highest profile clients. The son of a notorious unionist paramilitary leader has received a record payment of 400,000 pounds sterling ($640,000) from the British government in a move which has angered the families of those he killed. A sectarian parade is to be held at a troubled north Belfast ‘peaceline’ tomorrow in memory of a loyalist youth who blew himself up with a bomb he was about to throw over the wall at Catholics. The 26-County government has been accused of reneging on a deal struck during the North’s peace talks after it pulled the plug on funding for a major cross-border road link. A profile of the three members of the Irish National Liberation Army who died alongside seven IRA Volunteers, on hunger strike for political status, thirty years ago this year. It was entirely consistent with President Mary McAleese’s 14 years as president of Ireland that one of her last engagements was to open a gallery named after the Falls Road-born painter Gerard Dillon in Belfast’s Culturlann. 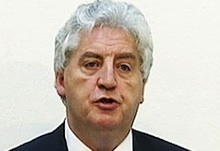 Members of the SDLP today selected Alasdair McDonnell to be their new leader. The ‘Real IRA’ has claimed responsibility for three bomb attacks over the past few months, and has warned that it will continue to target economic interests which reinforce British rule in the North. 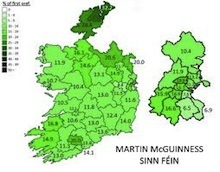 Sinn Fein plans to build on its 26-County presidential campaign by targeting the local elections in 2014, party officials have said. The trial of 22 people charged with holding a sit-down protest against a sectarian march in north Belfast this summer was quickly enveloped in controversy after the PSNI police admitted they had no evidence to present against at least two of those charged, and suggested that much of their knowledge had come from informers. The British government has expressed its “deep regret” over the British army killing of a Catholic man in the Markets area of Belfast. The Irish ship MV Saoirse is en route to the Gaza strip as part of its latest relief mission and has already reached international waters in the Mediterranean Sea. The bailouts are for only the banks and they are deepening the crisis of democracy at the heart of the European Union, writes Seamus Milne. For the Guardian. Martin McGuinness is a trail blazer. That much must be clear. Even to his detractors.